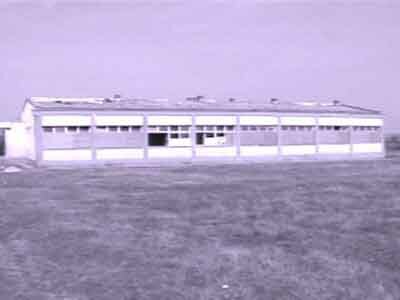 The school as it started. The work is being done by locally hired contractors. 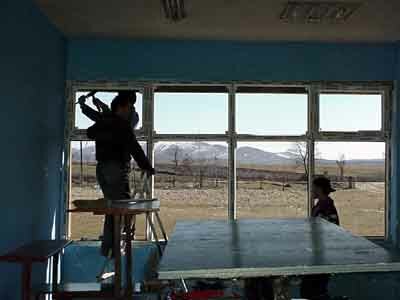 The school is getting new windows, doors, flooring and light fixtures. The roof is being repaired, the walls are being patched and the interior painted. The wood stove in the foreground is how classrooms are typically heated. 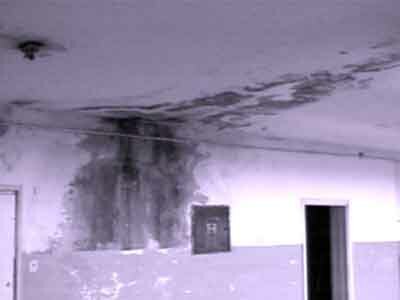 Water damage inside the high school caused by the leaky roof. 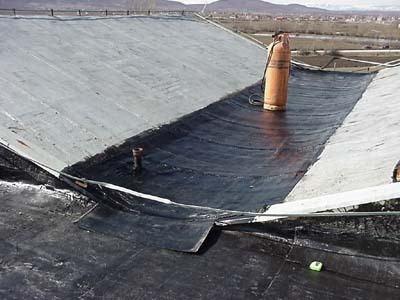 Roofing repairs in progress at the Technical School. 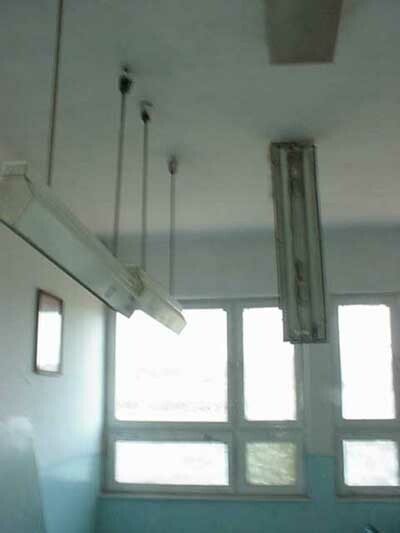 Broken lights in the school in Gornja Koretica / Korrotice e Eperme. This school is getting new light fixtures, some painting, and plumbing repairs. Former soldiers of the Kosovo Liberation Army build culverts under the supervision of Battle Group engineers. 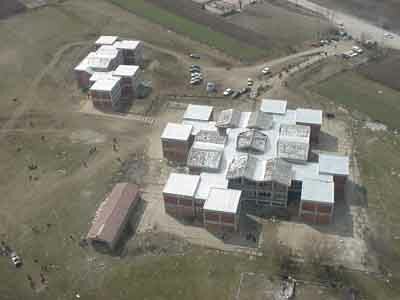 A new outhouse for the primary school in Radevo built by the Battle Group engineers. 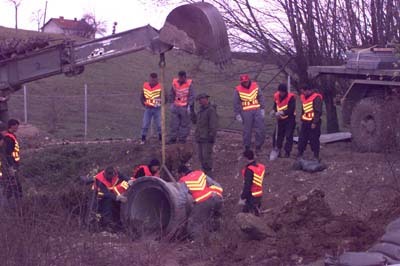 Former soldiers of the Kosovo Liberation Army build culverts under the supervision of Battle Group engineers. A new outhouse for the primary school in Radevo built by the Battle Group engineers.